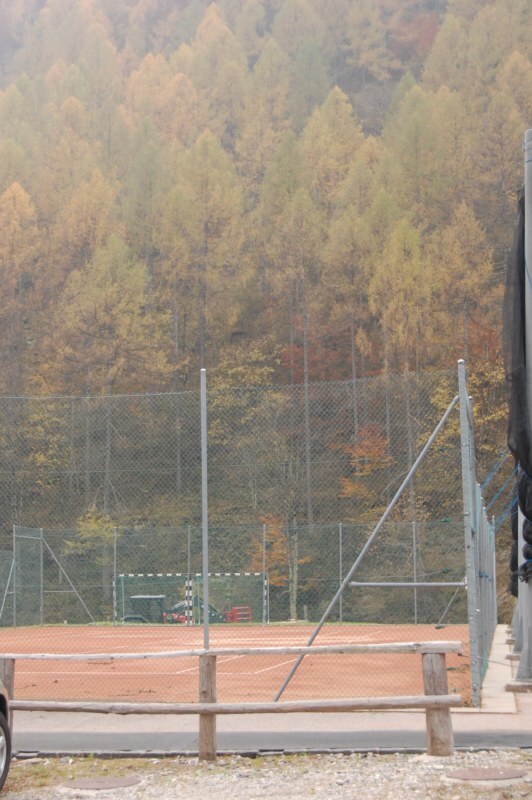 The clay court in Sonogno is likely to be set in the most beautiful surrounding you've ever had a chance to play. The surface is clay and it's recommended to make a reservation. You can also purchase 6-entry tickets in case you're staying in the valley more than just a few days. 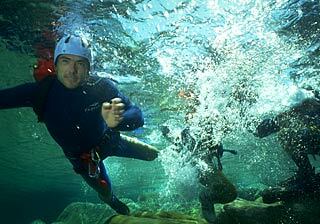 Indepth Outthere Adventures - Canyoning-Ticino Let us take you into the thrilling canyons of the Swiss Riviera.... 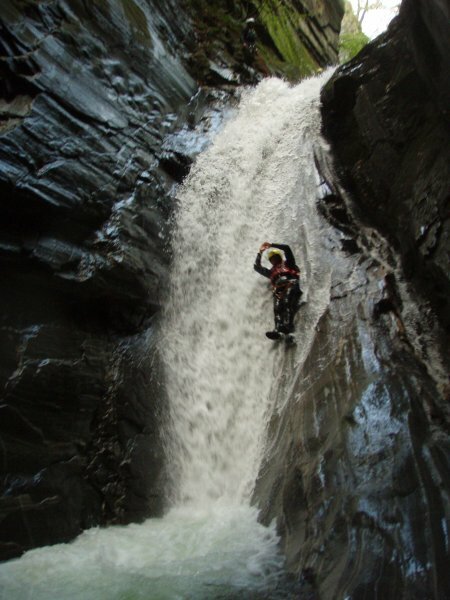 Experience canyoning...sliding, jumping, rappelling and exploring some of nature's most beautiful hidden places in the valleys around Locarno. A very popular diving place. The depth of the cave is around 10m. 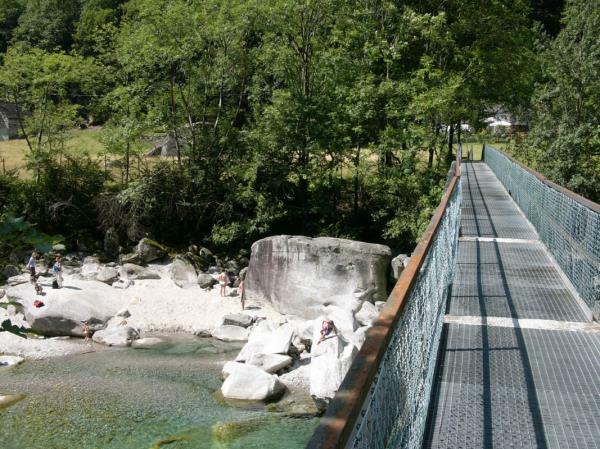 See http://www.verzasca.com/river/it/pozzo_salti.html for more details. 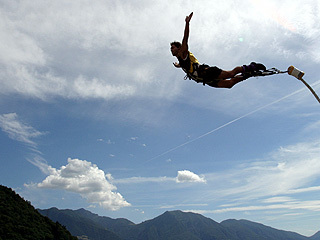 World's second highest commercial bungee jump, features in the opening scene of the James Bond 007 movie GoldenEye. You can jump between April and October, reservations are recommended. A great spot for bathing, most of the time the river is very quiet here and there's a nice tiny sandy beach. This is not a popular place so it's always very quiet, also in high season. You can get there from the main street by crossing the bridge 200m after Osteria Motta (between Lavertezzo and Brione) or from the hiking path on the other side of the river. Aperto dal 1Â° maggio al 31 ottobre, tutti i giorni dalle ore dalle 13.00 alle 17.00. 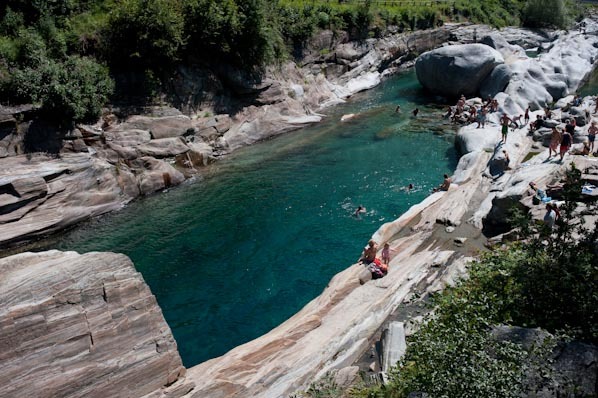 Il museo di Val Verzasca si trova a Sonogno in una vecchia abitazione verzaschese che si affaccia sulla piazza del villaggio: la Casa Genardini. Dal 1974 ospita una collezione comprendente circa un migliaio di oggetti che rispecchiano la vita quotidiana di un tempo.